Well this is the first time I’ve managed to get some of the Halloween pictures posted. I’m embarrassed to see how long it took me after Halloween. And how long it has taken me to make a layout. 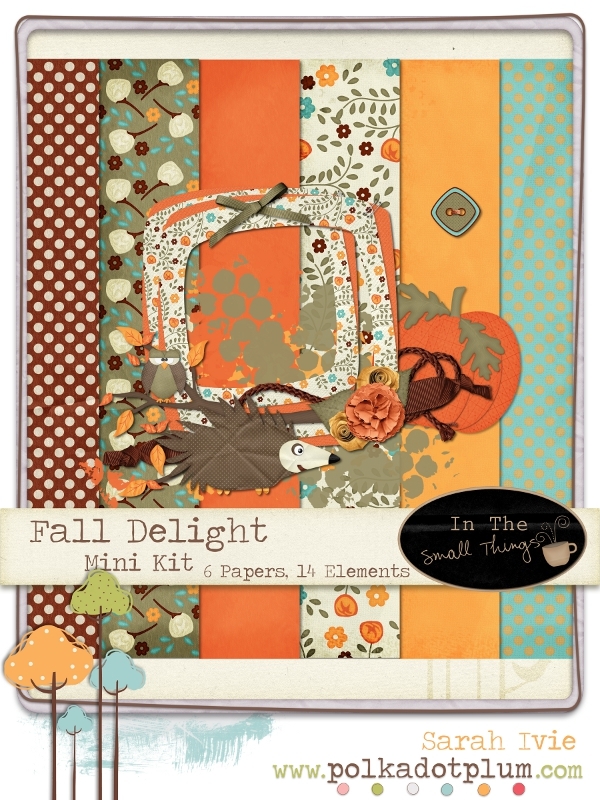 But the quick release of Fall Delight by In the Small Things gave me the perfect excuse to sit down and scrap. So I played with the opacity’s as usual with my layout to get just the look I wanted. 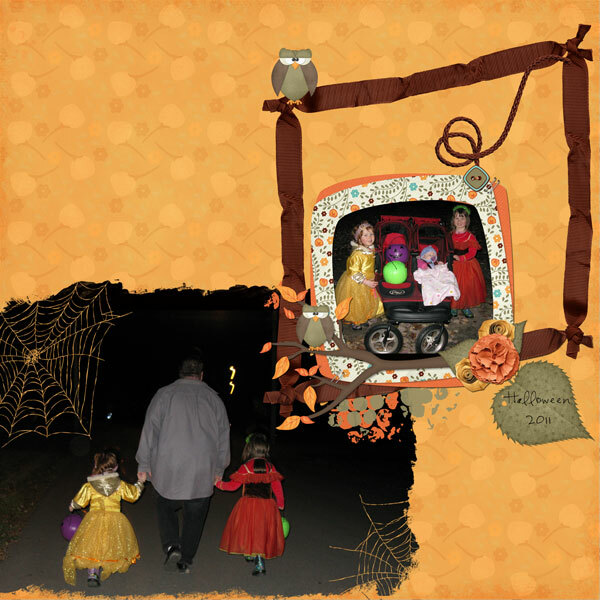 I also used a photo mask from Sweet Tomato Designs Spooks kit as I needed something to soften the photo some and it helped give that “spooky” Halloween feel.